Rosemary has been the General Partner of the Forsyth Group since she founded the company in 1981. Recognizing the potential growth of Information Technology within business, the Forsyth Group was the first Executive Search Consultancy to focus on the emerging technology market. Rosemary has developed extensive search experience across all technology sectors and conducts “C” and Board level assignments for technology companies in the UK, E& W Europe and the United States. Rosemary is a key contributor to the investment community, and is an investor in Seedcamp. Rosemary holds a Master’s degree with honors in Psychology and an M.Litt degree in Educational Psychology, both from Aberdeen University in Scotland. Rosemary sits on the Aberdeen University Sixth Century Campaign Board, The Board of Governors of the School of Communication & Arts 2.0, Innovate Europe, Snowball and is an advisor to TalentPuzzle and BraveNewTalent. Luzmila joined the Forsyth Group in 2002 as a Junior Associate focusing on the internet and mobile/wireless technology sectors. Since joining the Forsyth Group Luzmila has progressed to Director and has assisted in the completion of numerous assignments across Europe. Prior to joining the company Luzmila was with Muvifasa New Media for 11 years where she progressed to Director for Production and Quality Control, responsible for all art, graphics and printing. 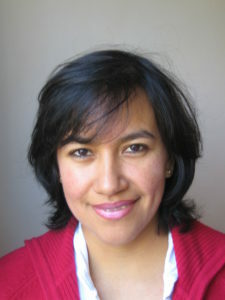 Luzmila holds a BSc in Industrial Engineering and an MSc in Financial and Legal Management. Albert Lackner founded Concilium in 1991 which focuses on building senior management teams in the IT Sector in Germany, Austria and Switzerland. Concilium helps companies hire Director, Vice President and “C” level in the region. Albert’s focus in in the software sector, particularly SaaS, PaaS, ERP, Middleware, EAI, SOA, CRM, ECM, DMS and Infrastructure. Albert has been employed in the IT sector since 1971, working for leading software companies before starting Concilium. The Forsyth Group were one of the few recruiters Civitas reached out to, but the only recruiter that we felt took the time to understand our business, and more importantly internalise the type of candidate that would ‘fit’ – both from a capability and culture perspective. Professional from beginning through to placement – deliberate, specific and targeted in every interaction, I thoroughly enjoyed working with them both and would seek their help again without question.